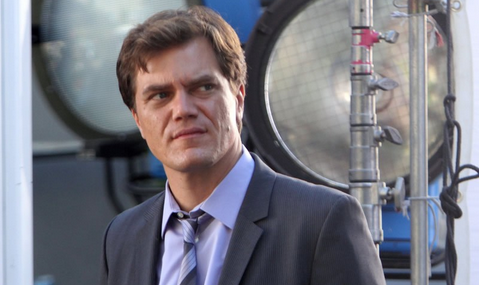 Actor Michael Shannon and director Jeff Nichols go together like peanut butter and jelly. Shannon has been in all four of Nichols films and he’ll be making it five for five as The Wrap reports the two are reuniting for Loving. Richard and Mildred Loving were married in June of 1958. As a result, authorities broke into their home, arrested them, and they were sentenced to a year in the state penitentiary. This sentence was suspended on the condition that they be exiled from the state of Virginia. Richard and Mildred would spend the next nine years fighting to get home. All of this, because Richard was a white man and Mildred a black woman. Loving is a story about marrying the one you want and finding the one you need. Nichols’ film is inspired by the 2012 HBO documentary The Loving Story from Nancy Buriski. The Lovings were part of a landmark 1967 Supreme Court ruling in Loving v. Virginia where the couple won the right to be married and all anti-miscegenation laws were invalidated in the United States. Shannon will play TIME photographer Grey Villet, who shot images of the couple for the magazine. Joel Edgerton and Ruth Negga will star as Richard and Mildred Loving. Nick Kroll and John Bass portray the Lovings’ lawyers Bernie Cohen and Phil Hirschkop while Martin Csokas is Sheriff Brooks, the officer who put cuffs on the couple just for being in love. The Nichols / Shannon team has been together since Shotgun Stories and worked together on Take Shelter, Mud and the upcoming Midnight Special. Principal shooting has begun on Loving in Virginia. This entry was posted in Breaking News, Film and tagged Jeff Nichols, Loving, Michael Shannon. Bookmark the permalink.